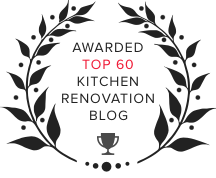 Kitchen trends are important, often including the latest and greatest innovations from renowned manufacturers to make your kitchen more functional and beautiful. However, some trends are just that—trends. They're here today and gone tomorrow. Sometimes they come back around, but never before they reach the dreaded "dated" status. 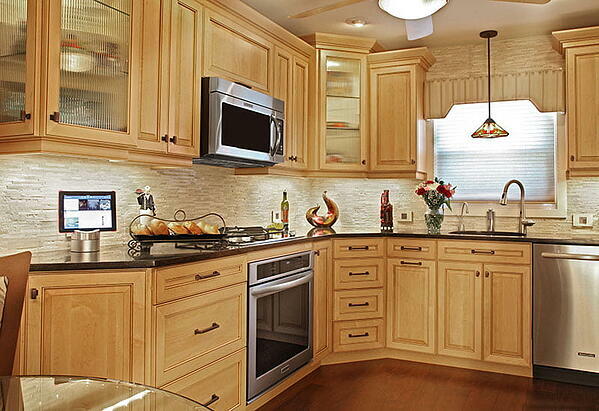 What Is a Timeless Kitchen Design? 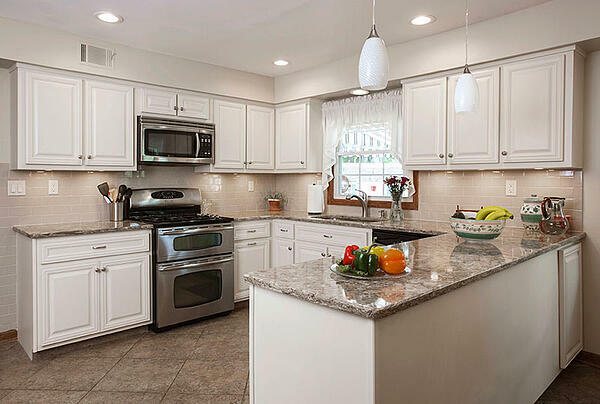 On the flip-side, a timeless kitchen design is one where the core elements—flooring, cabinets and countertops—won't need to be changed in five or 10 years. 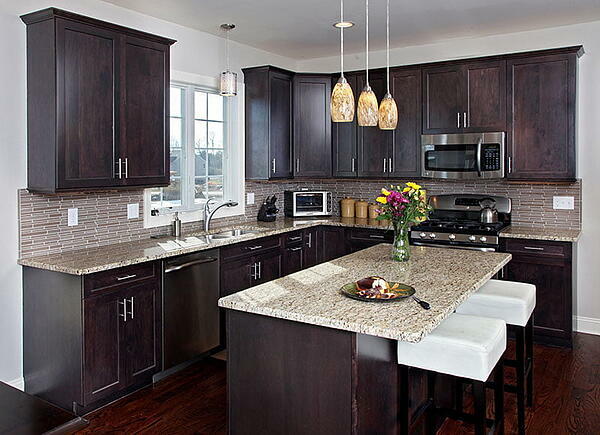 You want these main kitchen features to be so well-crafted that wear and tear won't be an issue. The design will honor your basic style, while maintaining basic lines and tenets that have spanned kitchen design through the ages. Consider the homeowners who design a "trendy kitchen" here in 2018. While they might install high-quality, energy-efficient appliances (timeless) and neutral quartz countertops (also timeless) they might also select kitchen cabinets that are finished with a vibrant, beach-themed color scheme such as turquoise and yellow (lovely but definitely NOT timeless). Who knows how long that color combo will really "work" in terms of trends. If they're lucky, they'll get a good five years out of them—but odds are the color trends will change before that and the cabinets will be outdated before you can say, "make me another piña colada." 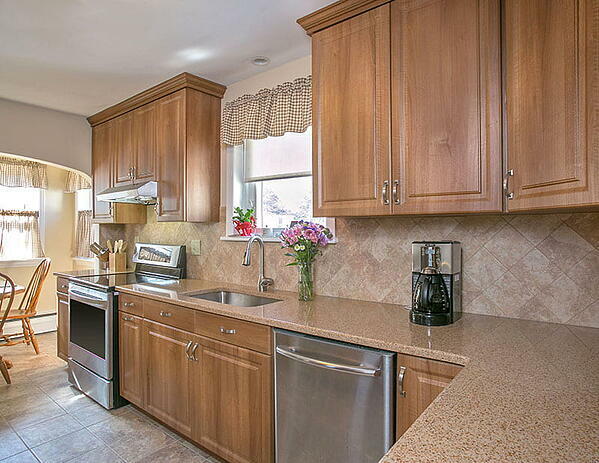 Repainting or resurfacing your cabinets can cost thousands, and that's just one example of why a timeless kitchen design makes sense. While we can't tell you exactly what to select in order to make your kitchen design timeless, we can provide a few helpful "Tenets to Design By" that you can use as you make selections. 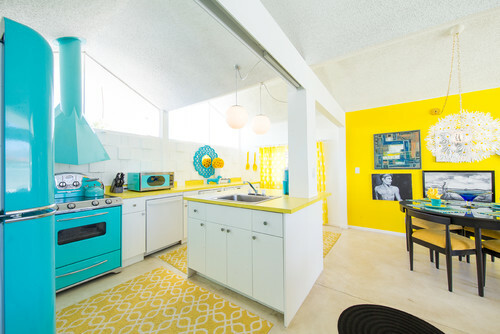 The example of the turquoise and yellow kitchen illustrates this point well. Having bold and funky color accents is a fantastic idea, but they are best express via features and furnishings that are temporary. Area rugs, countertop dish soap dispensers, flower arrangements, the table cloths or place setting on your dine-in eating areas - all are ways to enjoy your current color interests without having to repaint or replace costly design elements in less than 10 or 20 years. When designing a kitchen with real staying-power, go for colors from a neutral color palette—trust us, future-you will be thankful! Here is a feature that is a guaranteed classic. 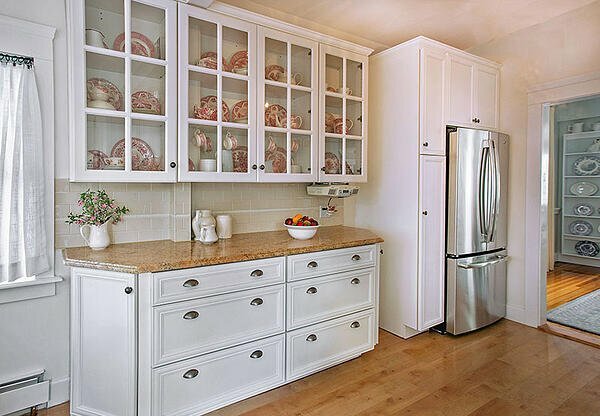 Shaker cabinets work well with both traditional and modern designs, which means your well-built cabinets will last for decades with regular care and maintenance. Create a feeling of spaciousness. Add a little panache without getting too trendy. Allows you to bring transient color accents via the dishware stored inside. High-quality materials are more expensive, it's true. But they are a worthwhile investment. Let's say you spend $2000 to $5000 more for better materials and craftsmanship - that's still significantly less than you'll pay if you have to re-design or rebuild your kitchen in five years because you used cheaper stuff that isn't holding up. A little goes a long way when done well. Ornate accents look beautiful, but they can certainly date your design. More tempered versions of those same architectural accents - furniture-style toe kicks, crown molding or a paneled hood - will provide the same visual punch but can float along the current of more extreme design trends without ever really going out of style. 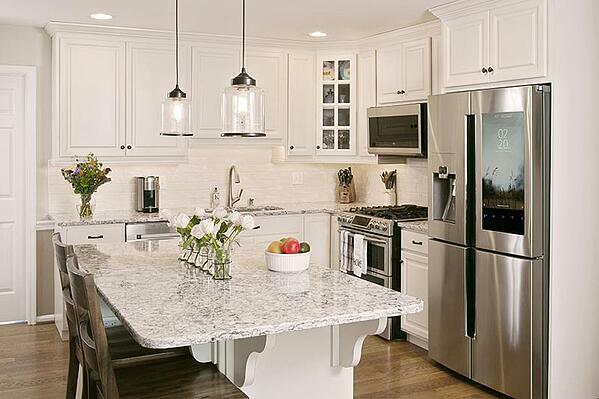 When you're ready to start designing a new, timeless look for your kitchen, we're here to help with advice and expertise. 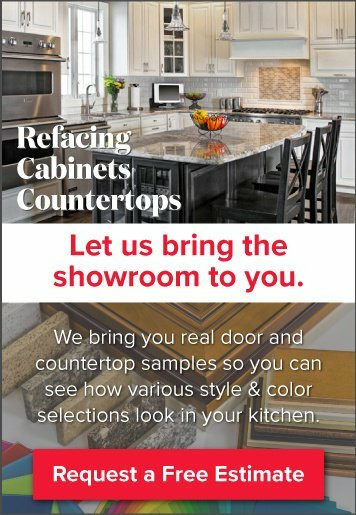 Schedule a free in-home design consultation, and we'll bring the showroom to you! In the meantime, if you still want to try some of those exciting interior trends they show on HGTV, we have a quarterly series of articles that explain how you can implement trends as seasonal decor against a timeless kitchen backdrop.